We stayed 3 nights end of June – this hotel is excellent!! They go the extra mile where others don’t. Upon arrival, the reception staff were amazing – comical, helpful, speedy…. couldn’t do enough for you!! Free mini-bar (how often do you get that!!!) which is replenished each day, free wifi, huge flat screen TV, huge & very comfy bed! Speaker in bathroom so you could watch TV from the bath if you wanted (through the glass wall – which had a sliding panel for privacy also). It’s 2 mins from the hub, ie the old town & river where all the restaurants, bars, cafe’s are. Breakfast is excellent with fresh pancakes, eggs etc cooked to order. My husband surprised me with a trip to Ljubljana and we stayed in this hotel. He couldn’t have done any better! We had a warm welcome with handy parking at the hotel (we hired a car for our stay in Bled afterwards). The room was huge and beautifully decorated with a view of the castle. The bed was huge with a duvet that managed to be light but cosy at the same time. The bathroom was clean, stylish and spacious with a powerful shower. White Company toiletries were a nice treat. We were very close to the main town, within walking distance to all the attractions. The hotel recommended good restaurants and booked a table for us on Saturday night. They also had bikes to use that we took to cycle round Tivoli park. Room 107 was spacious with two huge windows. The décor is sleek and modern, but the bed is sumptuously appointed with down and high quality linens. We arrived in the rain, with the forecast for more of the same. We remarked that if we had to spend 48 hours here while it poured outside, we could still be happy! Fortunately the actual weather conditions surpassed the forecast and we were able to do our planned touring. We must comment on the amazing breakfast spread. So pretty and tasty and SO many offerings… including champagne! The front desk was so helpful as well. You will not be disappointed if you choose this hotel. We stayed in an excellent room in this fun hotel. The hotel location is terrific for seeing Ljubljana as well as wandering to terrific restaurants. Directions were provided in advance, as well as restaurant reservations made. Not too far to walk here from the station (bus and train). Breakfast buffet is good, not grand – but more than enough fresh and cooked food on offer. Small lobby, but we did not come here for the lobby. We really enjoyed this as our base for a short visit to Ljubljana, arriving at the end of the season of the Christmas market and in time for some fresh snow falls. Would love staying here again. Centrally located this small unassuming hotel is one of the best boutique type hotels we have stayed in. from pre trip to our stay the hotel manager and staff exude service excellence. the staff are very personable remembered our likes and were sincerely interested in us as people. the food at the hotel both breakfast and dinner was varied and gourmet. we found it so satifying and varied we had no need to venture out in the evenng for dinner. the hotel is great value for the cost especially with breakfast included. we would higly recommend this hotel if your interested in an all round great experience. 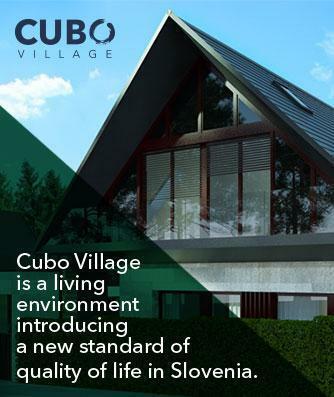 we will definely be back to slovenia and the hotel cubo. when you stay there ask for a room with a view of the castle you will not be disappointed. Where to start, what an amazing hotel! We spent four nights here in January and discovered exactly why it was the number one hotel in Ljubljana! The staff are so lovely and friendly they make sure that everything is to your liking. The room was huge! A very large bed and bathroom with heated floors. The wifi was very strong and the TV even had English channels included. We were able to get in room massages. The breakfast was included and one of the best ones we’ve had on the trip. There was a wide selection of fruit, museli, yoghurt, juices, cold meats as well as a chef who prepares everything to order. The room service/restaurant downstairs is also delicious! We parked out front for a reasonable price. The hotel is conveniently close to the main square, only about a five minute walk in. Definitely a must stay!! Location of course counts, and the Cubo is on a prominent Ljubljana corner and a short stroll or a brisk walk from many of the city’s sights. More than that, Cubo had large modern rooms, comfortable beds, excellent plumbing, and best of all: a charming and helpful staff. It was great fun to return from a day’s adventure (in one case booked thru the hotel), change, then walk to the riverside where guaranteed there would be exhilarating drink, food, and activity. Put Ljubljana high on your list and use the Cubo as headquarters from which to explore much of a small beautiful country. Wonderfully located, this stylish, well decorated contemporary hotel does everything right. Every staff member is a professional in the full sense of the word – conscientious, customer centric helpful, and personable. Our guest room was immaculately clean, quiet, elegant linens of the finest quality with a fantastic bathroom and shower. Our corner room was large with two sinks in thev bathroom and a wonderful divan perfect to stretch out on to read or nap. Breakfast is exceptional. Great attention to the quality of food as well as the presentation. One of the best hotel restaurants we have ever experienced. Restaurant is open to public and highly recommend. We came only for one night but wish we could stay longer. The room is spacious, spotless, modern, fabulous bathroom, and comfy bed. The staff is responsive and unfailingly pleasant. Turndown service that paid attention to all items needed in room. Location is superb. And, an added bonus, is we could see castle and excavation of archeological find from our room. A solid 10. Una struttura nuova di zecca situata di fronte alla zona pedonale della città, centralissima. Camera provvista di ogni comfort, con arredamento moderno e funzionale. Due orchidee fresche mi hanno fatta sentire benvenuta. Poi una lampada di design mi ha rallegrato un pomeriggio di pioggia. Il minibar è a disposizione gratuitamente, un omaggio molto gradito. La prima colazione è favolosa. Che dire? un soggiorno da sogno.